BTCL has taken several new projects whose works are going on with full speed. It will be a new revolution in the country’s telecommunications sector. Among them one of the project called “Modernization of Telecommunication Network” which called in short MOTN. This project cost is 2,573 crore Taka. When the project will be implemented a revolutionary changes will occur in all areas for providing services in the telecommunications sector, reliability of services, network maintenance and management, and expansion of the future. Chinese multinational telecommunications company ZTE is working on this project. The old exchanges are being upgraded to the latest which will have many advantages. For example, PDA (Personal Digital Assistance) device will be given to the field level Technical manpower. As soon as they are processing a customer’s application in this program, the necessary instructions will be in the PDA devices. After confirmation of the connection, the data will be automatically transferred to the central system from PDA. That means the whole process of a new connection will be paperless. Project Director Md. Asaduzzaman Chowdhury express his hope that there will be no such kind of disturbance what we have in the present time once the customers will get involved in the new connection. BTCL sources said, “The IMS core exchanges of 1.6 million subscribers will be divided into three categories, 0.7 million in Dhaka, 0.5 million in Chittagong and 0.4 million subscribers in Khulna will be benefited.” Through these core exchanges, the customer will be managed across the country. Core exchanges are being able to control customer services from any of the three geographic locations. Currently customer management are being done locally. Due to the absence of adequate skilled manpower, it is not possible to provide quality services throughout the country. The proposed IMS core exchanges can easily overcome this limitation. So, in place of old digital exchanges across the country, 560 EGUSD exchanges will be used. The capacity of EGUSD will be 4,31,120. 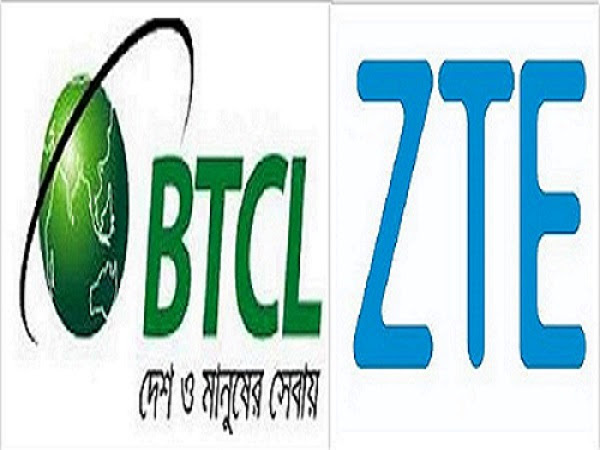 BTCL’s recent projects have been arranged for optical fiber-based customer connections in Dhaka and Chittagong. At present in ICT area, such demand are very high. The MOTN project has been set up to provide optical fiber-based customer and office connections in the big cities of the country (mostly in the bigger district city). This system will meet broadband needs. There are two lakh eighty thousand connections (FTTH GPON) at the customer level and five thousand connections (FTTO) systems at the office level. With the newly installed link coordinated with BTCL’s existing transmission link another eight rings will be created in the country with high capacity (DWDM). The backbone of the countrywide transmission will be fully reliable in this high capacity DWDM. In case any kind of disaster if any part damages, the transmission service will not be disturbed. All telephone services throughout the country will be uninterrupted. 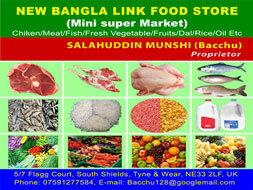 For the same reason three metro rings in Dhaka and one metro ring in Chittagong will be made. A total of 1,240-kilometer optical fiber will be set up. An IP network will be set up across the country by installing three pairs (one + one redundancy) core router in Dhaka, Chittagong and Khulna. As a result, internet and ICT-based broadband services are available in all parts of the country. Due to the IIG (International Internet Gateway) in Dhaka, Chittagong and Khulna through Cox’s Bazar & Kuakata submarine cable connection will be set up. Cable connection will be set up from beanpole through India also. International Internet and data connections will be uninterrupted in any disaster due to three distinct geographical connections. Uninterrupted arrangements in Internet connection are very important and very essential. In order to bring all customer services under automation, 20-lakh customer supported powerful BOSS (Business Operation and Support System) will be set up. Business Support System is included: Customer management, product management, customer service, web self-care, billing and rating, invasive management invoicing. Operation Support System (OSS) consists of error management, asset management, disorder management, manpower management and disciplinary management. Under the Business Support System, all the activities of the customers will be covered under the application process, application processing, filing of complaints, grievance settlement, removal of network erosion, bill management etc. It will benefit at least 2 million subscribers. Business Operation and Support System Network Operation Center (NOC) or 20 operators’ chair, a large NOC with 9 large LCD screen will have there where complete network monitors and necessary instructions can be provided. An integrated computerized model will be created by integrating Optical Fiber Networks built around BTCL’s existing optical fiber and MOTN projects across the country. Under this system, monitoring of optical fiber network status reports can be monitored centrally across the country. E-DESIGN will play an important role in the expansion of network which will ensure proper utilization of resources, feasibility of service at any end, preparation of future plans. When the MOTN project will be implemented, then a comprehensive, integrated and powerful network of BTCL will be created across the country and it will be possible to provide customer friendly services in a modern way. It will be a revolution in the Telecommunication sector of Bangladesh and will promote BTCL to a unique height. ZTE has been working in Bangladesh for more than 20 years. It has been developing IV Tier National Data Center, implementing ICT and power related projects in other organizations as well. ZTE has clearly contributed a lot to ICT growth in Bangladesh. ZTE will work even better in the future for more ICT developments in Bangladesh. ZTE is committed to providing customized communication products and services to customers around the world. Bangladesh has seen tremendous growth in the ICT sector since being boosted by the government’s Digital Bangladesh vision. Bangladesh now one of the highest ICT growth rates in Asia. ZTE is capable of developing and producing market-leading, first-class technologies in wireless, switching, access, optical transmission, data, handsets and telecommunications software. ZTE uses this expertise to provide end-to-end solutions tailored to the specific needs of customers around the world. Countries all over the world are developing their ICT technologies, which leads to the global deployment of the industrial chain. Therefore, no country can complete the ICT industrial chain independently. Bangladesh has a Tier 3 data center, whose capacity is already full. Datacenter started back in 2010 as a small business distributing software and other tech products in Seattle, WA. It provides discount software, software licensing and software-related services online and offline. ZTE now implementing national Data Center at the ‘high tech park’ in kaliakoir, Gazipur. For the data center, the government is providing Tk 317.55 crore while the rest is coming from the Export-Import Bank of China as project assistance. This Data center capacity will be two petabytes. One petabyte is equivalent to 10 lakh gigabytes. This Data Center will preserve all sensitive data of the country. ZTE is renowned for constructing green, innovative, and reliable data centers for customers. Currently around 50 percent of government services are being delivered online, such as tax filing, e-procurement, passport, birth registration, social services, e-payment and admissions. The data center is the core and basis for Digital Bangladesh, without which it cannot effectively store, use and process the data. Under the IV Tier National Data Center Project, Bangladesh develop even more, such as e-education, e-tourism, e-health and smart city management. Tier IV is the highest level regarding reliability, availability and performance. This is the number one secured data center in the whole South Asian region and eighth most secured data center in the world. This data center has uptime certification from uptime institute. Uptime Institute Tier Standard classification system starts with the data center design, implementation, and sustained operation. The owner and project team, say industry, must also consider additional factors and exposures people. The new national data center is very important for preserving, securing and sharing the data and for many things to be user-friendly. It will be at the heart of building Digital Bangladesh. The National Data Center of BCC is built in accordance with the Uptime Tier IV standard, which covers design, construction, and operation and maintenance (O&M). In this complete turnkey project, ZTE is fully responsible for the civil construction of the park and buildings, data center physical infrastructure (DCPI), IT software and hardware, and O&M services. As the main body of this project, the DCPI was designed and constructed strictly in accordance with the Uptime Tier IV standard, and a reliability level of 99.995 percent is going to be reached. The data center has the most-advanced shockproof, flood-proof, and explosion-proof design to ensure its safety and reliability. There are 608 IT cabinets, power consumption ranges between 4 kW and 10 kW, the total electricity amount is 8500 KVA, the overall area is about 28,000 m2, and the floor area is about 18,000 m2. The successful project implementation underlines the technical strength of ZTE world’s leading products.